The owner’s equity is derived from adding the investment made by the owners and the revenue earned by the business, and then, subtracting expenses and withdrawals from the total. Therefore, expenses and revenue make up a part of owner’s equity. Overall, there are four main categories under which the items of financial statement fall, i.e., income, expense, asset, and liabilities. Income and asset represent the inflow of funds either in a current period or in a future period. Expense and liability are the opposite; they depict the outflow of cash in the current and future period. But, this does not mean that expense and liability are the same thing. They are different from each other because the components that fall under these two categories have different characteristics and features. Liability is an obligation or a debt a business takes for the smooth running of its operations. There are long term liabilities and current liabilities. Current liabilities are usually due to be paid within a period of one accounting period; whereas, long-term liabilities are due to be repaid over a period of more than one accounting period. Long-term liabilities are settled over time by transferring economic benefits, such as goods, cash, or services. Liability includes accounts payable, mortgages, debentures, loans,, accrued expenses, or deferred tax liability, etc. 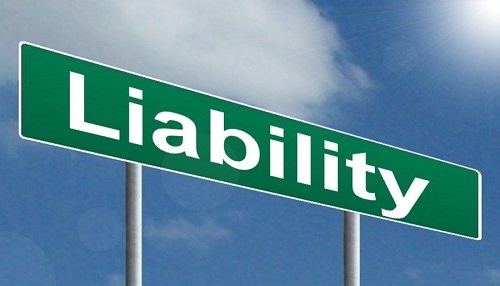 Liability is an important aspect of business that finances large investments in order to keep the operations running. It also allows efficient transactions between businesses. For example, if a company provides engineering services to oil companies for the extraction of oil, a liability doesn’t ask for payment to be made instantly. Instead, a service company sends an invoice for the services provided to make it easier for the oil company to make a payment at a later date. Therefore, liability is actually an outstanding amount owed by the business for a good or service it has received but has not yet paid for. A supplier may provide the goods or services now, but businesses pay for them at an agreed-upon later date. An expense is basically a cost incurred by a business or money spent to earn revenue from the sale of its goods or services. Expenses lower owner’s equity, but they are used to earn revenue. The common type of expenses included in the financial statements of a business are employee salaries, depreciation, interest on a loan, rent, utility expenses, marketing cost, insurance cost for research and development, and other operating expenses. This category also includes a cash amount that is given to a salesman or an employee of a company for client entertainment, food, lodging, travelling, etc. An expense is incurred by a business in the current period and its payment is made when it is incurred. Expenses are recorded in the income statement of a company, reducing the amount of profit earned by a business. The higher the expenses, the lower the profit will be. Therefore, it is important for every business to monitor its expenses on a regular basis in order to make sure they do not exceed their revenue dramatically. It is also important to keep a control check over expenses, especially when sales are slow, which consequently decreases the revenue. Doing so would keep the company from going into losses for the period. As already discussed, one of the main differences between liability and expense is the timing. One of the characteristics of liabilities is that it is either payable within one accounting year or more than one accounting period. The benefits of a liability are received in the current period, but it is due to be paid at a fixed date in the future. On the other hand, expenses are due to be paid as and when they are incurred, because the purpose of expenses is to earn revenue for the current period. The reward received by incurring expenses is instant; whereas, the reward from liabilities is earned over a period of time, as and when it is incurred, to be repaid at a later date. The income statement is a financial statement that presents the financial performance of a company over a specific accounting period. It includes all the items that are incurred to run both operating and non-operating activities in the current. Therefore, expenses are included in the income statements. The balance sheet, on the other hand, is also called a statement of financial position because it tells the financial position of a company at a certain date after accounting for the business capital, assets, and liabilities. This is one of the major financial statements for stakeholders, especially for investors, becuase it gives an account of what the business currently owns and owes along with the amount invested by shareholders. So, liability is presented in the balance sheet because it is the amount owed by the business for the benefits it obtained in the current period. Payroll expenses are the total expenses paid to employees of a business as salaries in exchange for their services. These expenses are added in the income statement of a company. However, these expenses are converted into liabilities if they are not paid, taking the form of a loan. If a salary is paid when it is due, it becomes an expense for that accounting period, but if it is not paid, it becomes a liability. Liabilities can also be expenditures, for example, credit card bills, wherein services are used in the current period but payment for those services is made at a later date. The credit card bill is usually received in the following month. So, payment made, in this case, is for the bill of the previous month. Credit card usage gives rise to a liability for one month, and it is payable as soon as the bill is received. On the other hand, in case of a loan, a part of it is an expense, whereas, the other part is a liability. For instance, the fee or interest is an expense, but the principal amount that is due to be paid in the future period is a liability. Therefore, knowing the difference between expenses and liabilities is very important for every accountant and student of accounting because there is a fine line between these two components. If you make an expense and do not pay instantly for it, it will not be your expense, but a liability that will be paid at a later date. An example can be an insurance policy wherein you do not pay the insurance premium until the year ends. Moreover, if a financial transaction is not accounted for correctly, it can have a material effect on the financial statements, and it will not present a complete picture of the financial situation. This will adversely affect the reputation of a business and may also result in losing the trust of the shareholders involved. Hira Waqar. "The Difference between Liability and Expense." DifferenceBetween.net. May 10, 2018 < http://www.differencebetween.net/business/the-difference-between-liability-and-expense/ >.